beginning with my mother, Buena Lamoreaux. 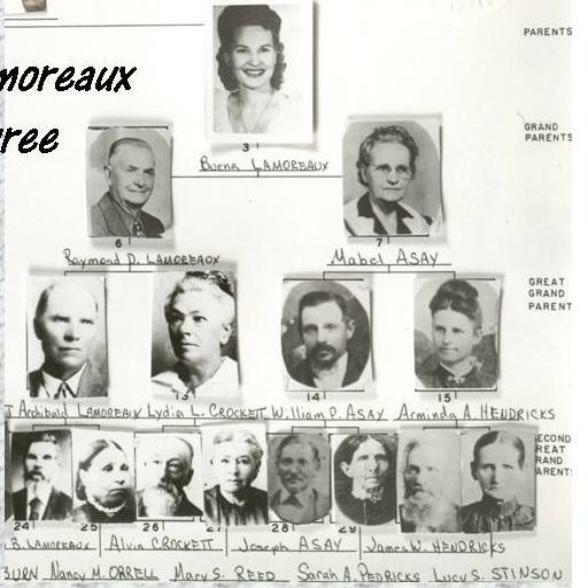 For 100 years Andre and Suzanne were our first known Lamoreaux ancestors. to America. Andre & Suzanne and family were in New York by 1700. Pierre Massé and wife Elizabeth Mercereau, born in New York City, 1696. Daniel Lamoreaux and Jeanne Masse. His mother died soon after his birth. settled in Parrtown and Gage, and finally, in Upper Canada, an area which is now Toronto. settled in Ontario. In 1836 they moved back into the USA to Ohio and then Illinois. then to Nauvoo, Illinois. They then crossed the plains to Utah. where she met David and they were married. 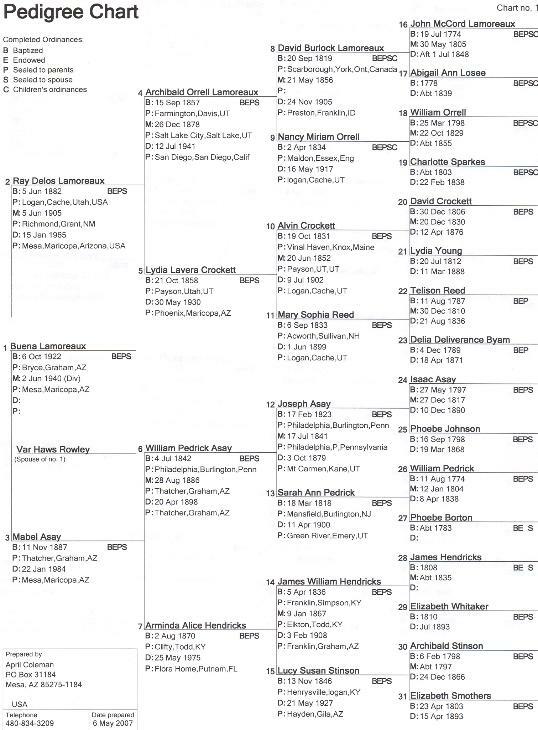 were married in Utah, 26 Dec 1878. They, with their family, migrated to Arizona in the late 1800s. See Asay Ancestry page for information on Mabel. passed away 9 March 2011. ABOUT INDIVIDUALS ON THESE PAGES. New information on Andre Lamoreaux and Suzanne De LaTour ! We Found Andre Lamoureux and Suzanne LaTour’s Birth records.